Washington D.C (TADIAS) – The head of the special investigation team that is looking into the cause of Wednesday’s UN helicopter crash in Ethiopia said all four on board were Russian citizens. Major Girma Gebre Yohannes, who is leading the inquiry into the crash, told Tadias that “the four Russian individuals” are currently getting medical treatment at Debre Zeit hospital. In a telephone conversation Girma said that they are due to be transferred to Addis Ababa for further medical assistance. 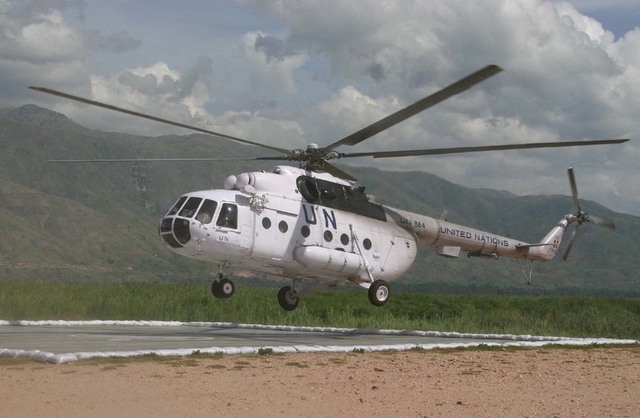 The helicopter was en route from Djibouti to Juba, South Sudan on a United Nations mission. According to the Ethiopian Civil Aviation Authority, the Russian-made chopper crashed on Wednesday afternoon at 4:20pm in Chefe Dinsa area, located some 45km east of Addis Ababa, where it had stopped for refueling. The Ethiopian Air Force from nearby Debre Zeit was involved in the rescue efforts.